Rotary is a worldwide organisation of business and professional leaders who provide provides humanitarian service, encourage high ethical standards in all vocations, and help build goodwill and peace in the world. Joins leaders from all continents, cultures, and occupations. Exchanges ideas, bringing our expertise and diverse perspectives to help solve some of the world’s toughest problems. Takes action to bring lasting change to communities around the world. Rotary International supports Rotary clubs worldwide by co-ordinating global programs, campaigns, and initiatives. The main objective of Rotary is service in the community, in the workplace, and throughout the world. Rotarians develop community service projects that address many of today’s most critical issues, such as children at risk, poverty and hunger, the environment, illiteracy, and violence. They also support programs for youth, educational opportunities, vocational and career development. Rotary also leads international exchanges for students, teachers, and other professionals. Our organization started with the vision of one man, Paul P. Harris. The Chicago attorney formed one of the world’s first service organizations, the Rotary Club of Chicago, on 23 February 1905 as a place where professionals with diverse backgrounds could exchange ideas and form meaningful, lifelong friendships. Rotary’s name came from the group’s early practice of rotating meetings among the professional offices of each member. Back in 1917 outgoing Rotary International President Arch Klumph’s idea for an endowment fund dedicated to ‘doing good in the world’ planted the seed of The Rotary Foundation in 1917. Thanks to his vision and staunch advocacy, and the extraordinary generosity of Rotary members worldwide, that fund has become one of the world’s leading humanitarian foundations. Working with Partners makes donations to the Foundation go even further. For every $1 Rotary commits to polio eradication, the Bill & Melinda Gates Foundation (yes, that guy who started Microsoft) has committed $2. 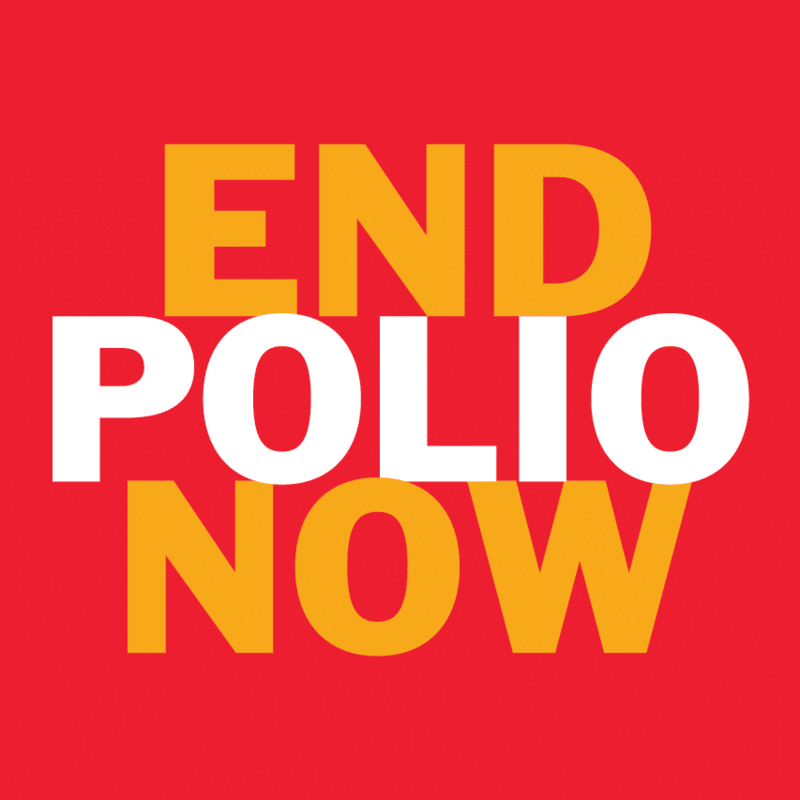 Both Rotary Foundation and the Bill and Melinda Gates foundation have committed to ending Polio throughout the world. This is no easy task – Polio still remains endemic in three countries – Afghanistan, Nigeria and Pakistan. Is the Goal of the The Global Polio Eradication Initiative. This is a public-private partnership led by national governments with five partners – the World Health Organization (WHO), Rotary International, the US Centers for Disease Control and Prevention (CDC), the United Nations Children’s Fund (UNICEF) and the Bill & Melinda Gates Foundation. Each year the incoming Rotary International President (yep the head honcho) selects a theme to serve as his emphasis. This year 2018-19 RI President Barry Rassin is no exception when he has adopted ‘Be the Inspiration” as his theme’.